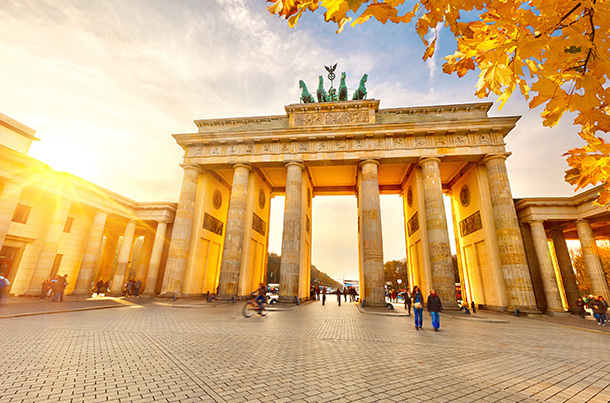 Berlin is the most fascinating and exciting European city and here are the 16 reasons why it is so. No matter which part of the world you reside in, I know you have a deep enthusiasm for at least one European city. It may be Paris. With its bohemian streets, delicious pastry, and people who sound like reading a poem even when they are having a small talk, may be standing as the setting of your dream destination. If that is Rome, well you have reasons. Is there a city in which you feel the hand of history on your shoulder more? Or is there any other that makes your stomach this happy? Is it Barcelona? Might as well be because to be surrounded by this much passion in another city is not possible. Although I am more than okay with giving these 3, or any other European city, the praise they deserve, one big but keeps hanging in mind while doing so. Because to me, no matter how unique, how historically and gastronomically rich a city is, it simply can’t compete with the beautiful Berlin. I hear you asking why. Well, here are some reasons. Actually, there are 16 of them. Berlin has got more than 2.500 parks! Undoubtedly, Berlin is a metropolitan. With an exceptional public transport system, tall and magnificent buildings, it is home to 3.5 million people and serves as the cultural hub of the country. However it is never hard to get away from the daily routine, thanks to the parks that that surrounds the city. Feeling the nature at its best is always in reach in Berlin. Have you ever been to an Opera House? Well, you can visit 3 of them in Berlin. Berlin is the only city in the world that has got 3 active Opera Houses. These 3 can seat 4.441 people at the same time. When we consider the German expertise on the art form, we can say it is a must to catch an opera in one of these houses when in Berlin. You don’t have to do much to get exposed to art in Berlin. Simply because it is everywhere. The street art, while in some countries still regarded as a crime, is one of the things that make this city this much distinguished. Just turn your head to the street across you, I am sure you’ll come up with a huge talent that is disguised in drawings. You are never ever an outsider in Berlin. I think this is one of the most important reasons why Berlin is the capital of whole Europe (according to me, of course) It has got an aura that surrounds you the moment you step on to the city. You cannot help feeling like you’ve been there for quite a time now while you are wandering through the streets. The 1.3 km long remaining part of the Berlin Wall, is now home for the paintings of the 118 artists from 21 countries. While walking by the piece of concrete that used to separate one city, the way the hope and need for a better future is represented in the paintings will warm your heart. I don’t think I have to explain. The largest train station of Europe is in Berlin. In addition to the great geographical location of the city, the excellent quality of the railway services make a train trip highly considerable in the city. You can also enjoy the scenic look that surrounds the city while you are still trying to figure out how comfortable and great a random train journey can be. …All of which are quite rich in content. The best thing about them is, no matter what your personal interests are like, you’ll find at least one that’ll fascinate you and get its place among your best museum visits. Berlin has got the Ampelmännchen! 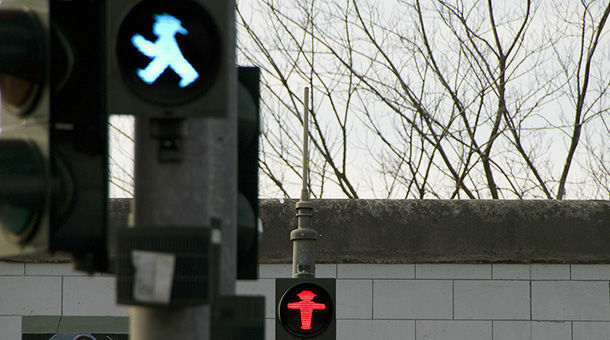 This cult pedestrian sign is a reminiscent from the former German Democratic Republic. When the period it reminds to people is put aside, we can say it represents the positive side of a failed social order. I don’t know what you think of burritos, the famous Mexican food. But I hope you like them if you are to visit Berlin because the burrito place, Dolores in the city makes the best burritos only second after any city in Mexico. When we add the incredibly cute design of the restaurant, Dolores becomes one of the reasons to make Berlin the greatest city in Europe. One Big Open Air Club: Berlin itself. Berlin has got an outstanding nightlife scene that can hardly be beaten by any other city in Europe. Filled with bars and clubs that are attractive for all sort of taste, the city hardly ever runs out of parties that end early in the morning. Once inhabited by the Turkish people mostly, Kreuzberg is now one of the hippest places in Berlin. There are stylish cafes, pubs, local restaurants (a lot of Turkish ones) and bohemian boutiques in the area. 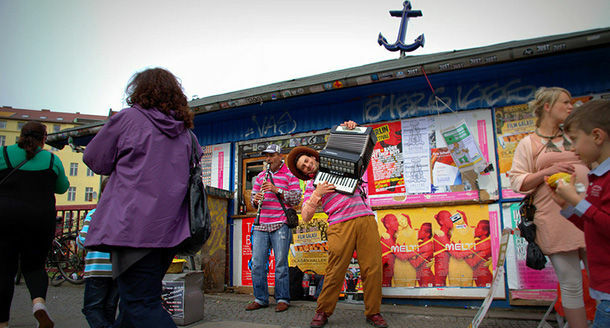 What you will notice immediately is the unique soul of Kreuzberg that will make you want to be a Berliner. Berlin has got Späti! Because pubs are too mainstream. Spati is actually a small market in which you can buy almost anything you need. However, in the recent years these have evolved into the stop by places to have a couple of drinks on the way to clubbing or on the way home after work. Some of them even have small benches that you can have some rest while enjoying the beer that you bought for something between a euro and two. Berlin defines how a flea market should be. If you spend more than a week in this beautiful city, the thing you’ll notice is how Berliners love being outside and buy or exchange things or bargain for them. This is way they rule the flea market world in Europe. If you are into more traditional way of shopping, then make sure to visit Flohmarkt in Boxhagener Platz, Nowkoelln Flowmarkt, Markt in Kollwitzplatz or Trödelmarkt Friedrichshagen. 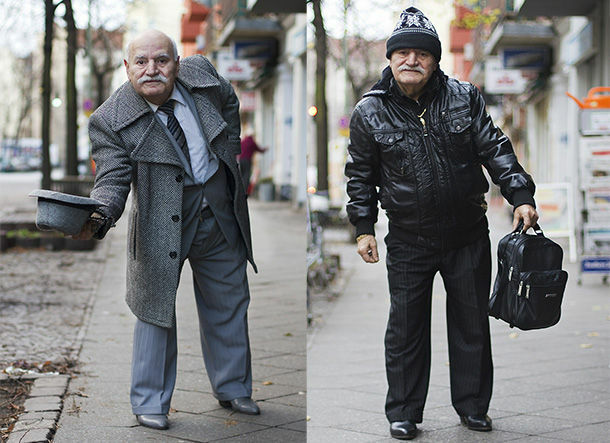 Because in no other city, you can come across a better dressed grandpa than Ali!